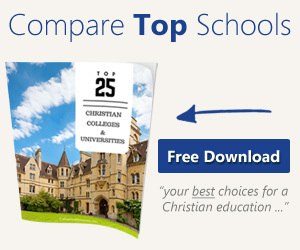 This ranking of the best Christian Colleges for artists and musicians reflects the variety of majors within the Degree Programs offered. In cases where the degree programs were not expanded into specific disciplines (i.e., vocal and instrumental music programs), the school may have ranked lower on the list. This ranking does not evaluate the quality of the programs, it simply computes the number of academic tracks specifically identified within the department. Please note that music programs include theory, performance, specific instruments and education; Art programs include Fine Arts (paint, sculpture and other media), design, video/film and theater as well as creative writing. 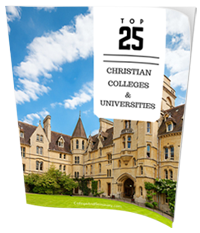 We hope this ranking will help parents and students identify intentionally Christian institutions that excel in art and music degree programs.